"And jazz- it didn't sing sweetly, like the music he'd been raised on. It shouted out, fierce to lift the weariest spirit. It could own a fellow's soul if he let it- and even if he didn't "
I wish I could hear that jazz, played in clubs in New York at that time. It's one of those books whose characters I want to know personally. 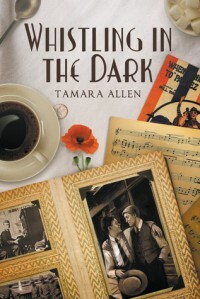 The author has done an amazing job composing the setting, building masterfully a character at a time when PTSD did not even exist as an idea, when free jazz and "Dixieland" did not hold the significance they do now, and the Prohibition knocking on the door.
" We're the middle children of the history man, no purpose or place, we have no Great war, no Great depression, our great war is a spiritual war, our great depression is our lives "